The barefoot horse revolution is an major advancement in equine understanding that puts the power of hoof care back into the horse-owner's hands. During the long reign of shoeing, horse-owners have been dependent on farriers for their horses' hoof care, most believing the shoe to be a practical necessity. During this time, a blind-eye has been turned to the significant damaging effects of shoeing on the horse (see: The Importance of Natural Horse Hoof Care. 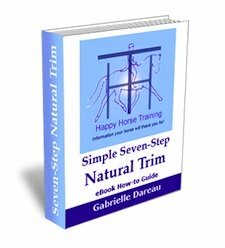 Recently, more and more horse-owners are becoming aware of this, and that taking on the responsibility of natural horse hoof care is perfectly possible for anyone who sets about educating themselves properly on the subject (look at: The Natural Trim: The Solution For Healthy Horse Hoof Care. With the development of hoof boots as an alternative hoof protection, shoeing can no longer be excused as a practical necessity. Unlike shoeing, keeping your horse barefoot is a step away from convention and tradition. Many horse-owners are not ready for this, but finding out about other people's experiences of hoof trimming and keeping a horse barefoot is both educational and encouraging. If you are starting out on the barefoot horse road, you are not alone! 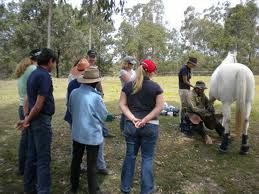 Many horse owners have gone before you, and many more will come after as the barefoot revolution grows. The world of barefoot, like any equestrian sphere, is full of different opinions and methods. We ourselves went from one extreme of hoof care and trimming to the other, before finding a middle way. Everyone needs to form their own experiences, but keeping an open mind and learning from others is an essential part of evolving our thinking and methods. Do you have experience of keeping a barefoot horse? Have you gone barefoot with your horse(s)? Do you practice your own hoof trimming? Do you ride or compete barefoot, or use hoof boots? 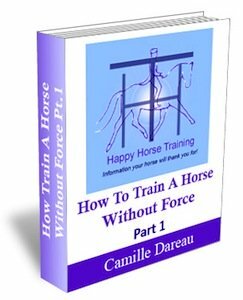 Here's your chance to share your experience on Happy Horse Training, and contribute to the barefoot revolution!